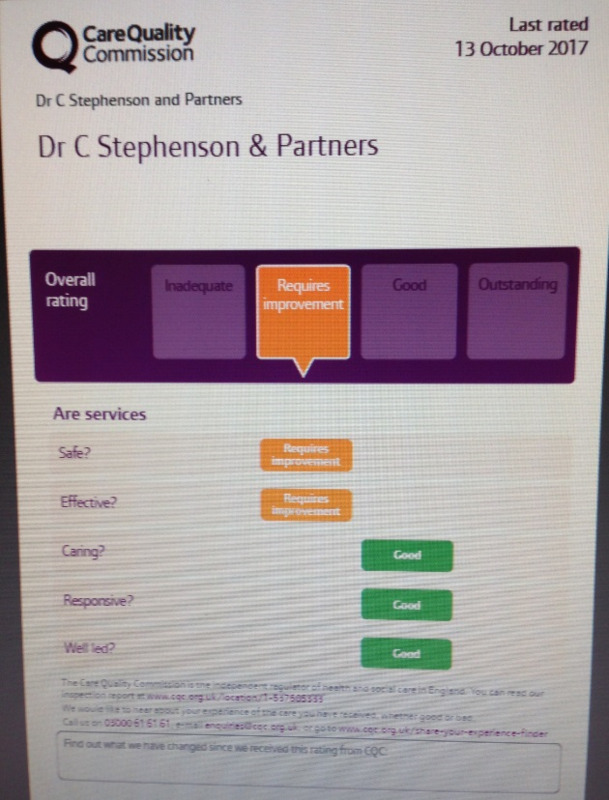 CQC or the care Quality Commission registers General Practices and monitors the quality of the practices. This is similar to OFSTED monitoring schools. Our mission is to provide a high standard of safety, effectiveness, caring, responsiveness and good leadership in our general practice. We would like to thank you for your continued support while we work towards providing a better service for you. If you have any suggestions please use the 'Contact Details' tab at the top of the page; at the bottom there is a link to an online form.